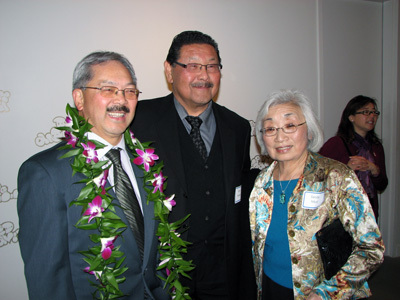 An ad hoc committee of San Francisco Japantown’s business and community leaders gathered together on the night of Feb. 22 to welcome and congratulate Mayor Ed Lee, the first Asian American mayor of the city. 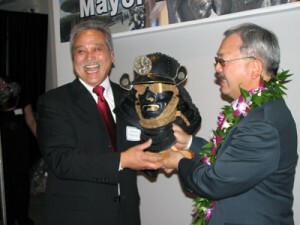 The event, held in NEW PEOPLE’s Superfrog Gallery, brought together old friends of the new mayor from the community to wish him luck and ask for his continued support of San Francisco’s Japantown. The event was organized by members of the Japantown community such as Richard Hashimoto of the Japantown Merchants Association and Sandy Mori of Kimochi Inc. Caryl Ito emceed the event for the night. The event preceded a Japantown walking tour Lee took with Supervisor Ross Mirkarimi Feb. 24 in an effort to better connect with and get to know the city. Lee pledged in January that his time as mayor, while short, would establish a new standard of dedication in the city’s government. 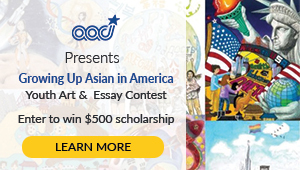 He repeated his pledge and expressed his hope to continue working with people from the Japanese American and Asian American community in running the city. Lee, seeming to be at ease among old friends, told the small crowd that “it’s still like being on a honeymoon,” because he has yet to make any big decisions, such as those concerning the $380 million deficit currently facing the city. 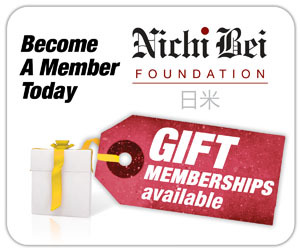 The Japanese American community has high hopes for working with Lee. 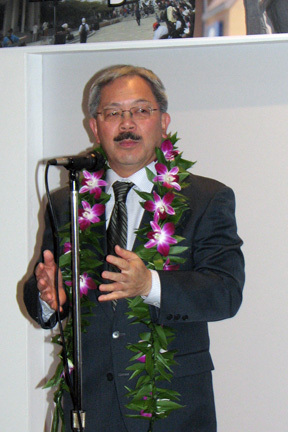 His previous work in San Francisco, notably as executive director of the city’s Human Rights Commission and as a staff member of the Asian Law Caucus, closely aligns him with the Japanese American community. Hashimoto presented Lee a kabuto (Japanese warrior helmet) for the battles ahead and offered a traditional kanpai toasting to celebrate Lee’s appointment. 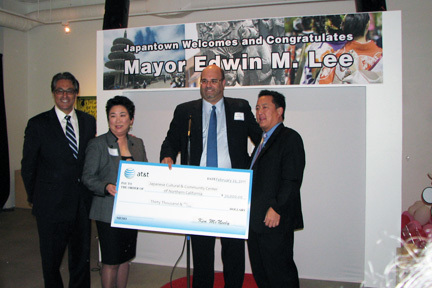 AT&T’s new regional vice president, Marc Blakeman, also was in attendance and showed his support for the Japantown community. He presented the Japanese Cultural and Community Center of Northern California with a check of $30,000 to start outfitting the Japantown neighborhood with free public wireless Internet access. Dianne Fukami accepted the check and pledged to plow into the 21st century with these improvements. 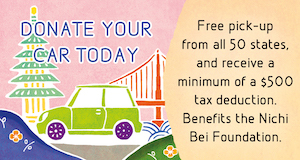 These plans come after the city dropped its plans to equip all of San Francisco with free wireless. Mirkarimi expressed hope that this donation will at least help set the plan in motion by introducing wireless little by little.